This month features interviews with Karen L. Overall, MA, VMD, PhD, DACVB, CAAB and E’Lise Christensen, DVM, DACVB, authors of “Loyalty Gone Overboard: Separation Anxiety” the chapter from “Decoding Your Dog,” a new book by the American College of Veterinary Behaviorists on dog behavior. Dr. Christensen: I worked with an amazing general practitioner, Dr. Harry Schumacher. He opened my eyes to the importance of behavior in practice and encouraged me to pursue veterinary behavior as a career. Since behavior problems kill more animals than most diseases, I knew this was a field where I could really make a difference for animals. I was also eager to be more involved in the human-animal bond and relieve the human suffering that comes with managing behavior problems. So I started focusing on becoming board-certified by the American College of Veterinary Behavior while I was in high school. Dr. Overall: It was an accident. I thought I’d be a pure research scientist, but then I got interested in my patient population. Outside of veterinary behaviorists, how familiar is the typical small-animal practitioner with separation anxiety? Dr. Christensen: Most general practitioners do the absolute best they can with the information they have at hand. Where I practice in New York City and Denver, primary-care veterinarians often make very rational decisions on initial treatment for this disorder. I believe this is likely due to outreach from big pharmacy companies, as they attempt to market the two medications approved for separation anxiety. Dr. Overall: Veterinarians have a greater familiarity with this condition than with most others. The sad thing is, most veterinarians and veterinary students receive no meaningful didactic and clinical training in veterinary behavioral medicine. This topic ranks in the top few for continuing education and alumni associations note the need for it, but veterinary schools seem to be eliminating positions rather than adding them. 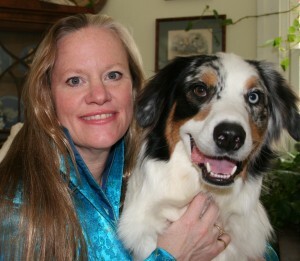 Karen L. Overall, MA, VMD, PhD, DACVB, CAAB and her dog, Toby. Is there a tendency for veterinarians to associate destructive behavior with separation anxiety when there might be other underlying factors? Dr. Christensen: Getting an accurate diagnosis is very important in separation anxiety. Otherwise you may implement treatment for the wrong problem and have minimal to no success treating the behavior. Video of the animal when alone or when he/she thinks she is alone is the gold standard for diagnosing separation anxiety. This is getting easier and easier these days thanks to webcams, smartphones and tablets. Dr. Overall: Yes, this is why a thorough history is needed. Your example of destruction can have as differentials: play (e.g., soft pillows, cushions, plants, rolls of toilet paper, things that play back), puppy teething, rodent infestation, denning (e.g., pregnancy or pseudo-cyesis), thermoregulation, separation anxiety, cognitive dysfunction, panic and noise/storm phobias. What is owners’ single biggest misconception associated with separation anxiety? Dr. Christensen: Many still believe their animals are “misbehaving” and are “spiteful.” It’s time to let these ideas go. If an animal is destructive, vocalizing and/or house soiling when alone then rule out issues with lack of enrichment, outdoor triggers, failure of house training, etc. But if separation anxiety is confirmed, treatment is focused on relieving panic and distress and should begin immediately. Dr. Overall: Owners say that their dogs are angry at being left, which is sad. This isn’t vengeance, it’s distress. Compared to five years ago, how much continuing education is being offered to veterinarians on behavior and separation-anxiety issues? Dr. Christensen: Many conferences provide education on veterinary behavior including separation anxiety. However, they are generally not as in-depth as they should be. Dr. Overall: Every major meeting offers extensive continuing education in behavioral medicine, but there is no cohesive approach to do more than cover the basics in a survey manner. We live in a fast-fix society. What is veterinarians’ best approach for addressing many clients’ demands for quick results surrounding separation-anxiety issues? Dr. Christensen: Patients with separation anxiety need professional help and fast. There are some treatments for separation anxiety that can be effective in less than 90 minutes. They are short-term fixes, but very important. And, these medications (like Xanax/alprazolam, trazodone, clonidine, etc.) are not new to the field. Management changes can give immediate relief as well. Finding a pet sitter, day care or neighbor interested in dog sharing can keep the animal from suffering while the family implements treatment. Even just getting a crated animal out of the crate for absences can improve the situation dramatically for some patients. A skilled practitioner can help many cases improve within a week or so if his/her clients follow instructions and follow up appropriately. Most cases will need additional help after this, including behavior modification and daily medications for anxiety. Dr. Overall: Separation anxiety is an emergency. It should never be treated without medication once clinical signs are apparent. Practitioners can help themselves, and their patients if they screen for behavioral problems at every appointment using a standardized methodology. Many of the medications used to treat long-term anxiety take a while to act, however. 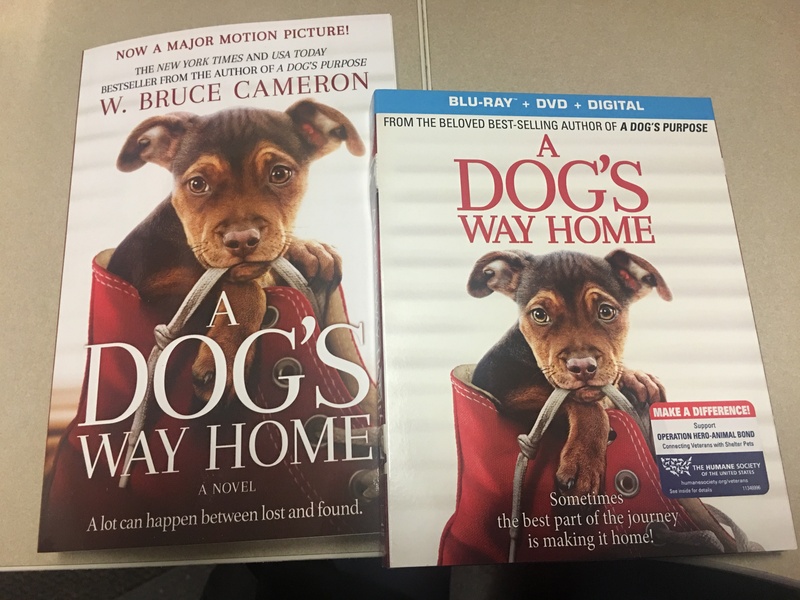 Since a shelter or rescue-agency dog comes with many behavioral unknowns and potential emotional baggage, how should a new owner approach the tumult surrounding separation anxiety? Dr. Christensen: In a perfect world, all shelters would provide appropriate, detailed pre-adoption counseling. Teach her/him to sit using reward-based methods and ask the dog to sit for things it wants. Provide a comfortable resting area and reward the dog for using it when you are present. If you are using a crate, make sure the dog is comfortable in it; some dogs experience severe anxiety and injuries when crated. Provide a variety of food puzzle toys at every absence. Check with your veterinarian about the appropriate amount of exercise for the animal and provide it daily. Don’t punish any problem behaviors that occur while you are gone. Videotape the animal when home alone at least every other day for the first 4 weeks. Talk with your veterinarian or a veterinary behaviorists immediately if you see clinical signs of separation anxiety. Dr. Overall: People should be educated – preferably by a dedicated shelter staff, including the shelter veterinarian – about risks and how to manage them. Shelter medicine is about to be a board-certified field. Every shelter should hire a shelter- medicine veterinarian who has comprehensive training and certification. You note that studies have shown having a second dog in the home doesn’t necessarily provide a positive impact on separation-anxiety behavior. What about having a cat? Dr. Christensen: Sadly, it will not help the vast majority of cases over the long term. Dr. Overall: Data from the first set of published studies for Clomipramine does not support the beneficial effect of other pets in the home. Dr. Christensen: Separation anxiety can get better and even seemingly go away with treatment. It’s not likely to go away on its own. Dr. Overall: Problem behaviors are cries for help. Our jobs are to listen and act.